Ladies New to Golf Attending Our First Taster Session. On Saturday 30th April the clouds parted long enough for our first Ladies Taster Session to go ahead as scheduled. Taster Sessions are offered to ladies who have never played golf before but who are keen to give it a try. The sessions are part of the ‘Get into Golf’ initiative which is jointly promoted by our club and England Golf. 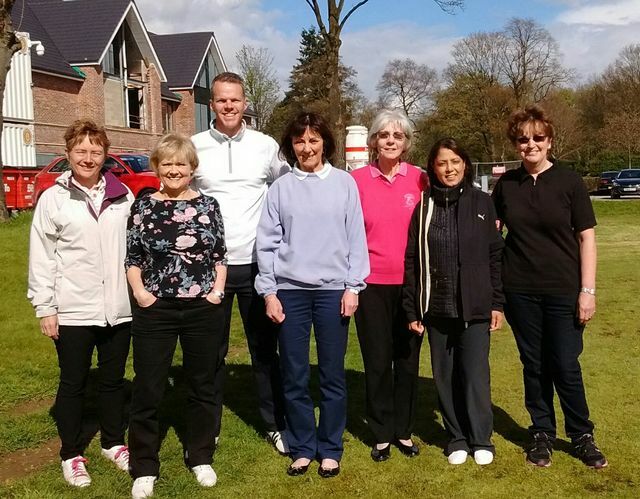 They are designed to be a fun introduction to the game and aim to encourage more ladies to take up golf. The Taster Sessions consist of an informal ‘lesson’ with the Pro, covering the Swing, Chipping and Putting. Afterwards, refreshments are provided in the clubhouse where participants can meet some of the members and find out more about the game, the club and what it has to offer. The sessions are free of charge, clubs are provided and the dress code relaxed (trainers and jeans are fine). On Saturday 5 ladies attended. Feedback was excellent. The ladies thoroughly enjoyed themselves and expressed an interest in exploring options to continue. As part of this initiative our Professionals Joe and Graham offer group coaching at very reasonable rates and this can be the next step. Hopefully, some of these ladies may consider joining our club but may be unsure of committing to pay for full membership. If so, we can offer some very attractively priced Trial Memberships. The idea is to make it easy to learn together and grow into the game in a non-pressurised environment. The club will be holding future sessions – the next one is on Saturday May 14 – and we would like to encourage all members to help us by promoting these. Leaflets are available from the Pro’s shop and it would be great if members could distribute these and encourage family and friends who may be tempted to have a go. Distribution to social and sports clubs can also generate interest. Booking is nominally via Joe but any member of the Ladies Committee would be pleased to receive information and arrange to follow up an inquiry.